Do you remember that old slogan on PAs license plates -- ‘You’ve Got a Friend in Pennsylvania’? Well, for the sake of this story we’ll use that slogan as inspiration to make a new one for every parent of a child with autism in the city of Philadelphia. ‘You’ve Got a Friend in City Hall’. This friend is Philadelphia City Councilman At-Large Derek S. Green. 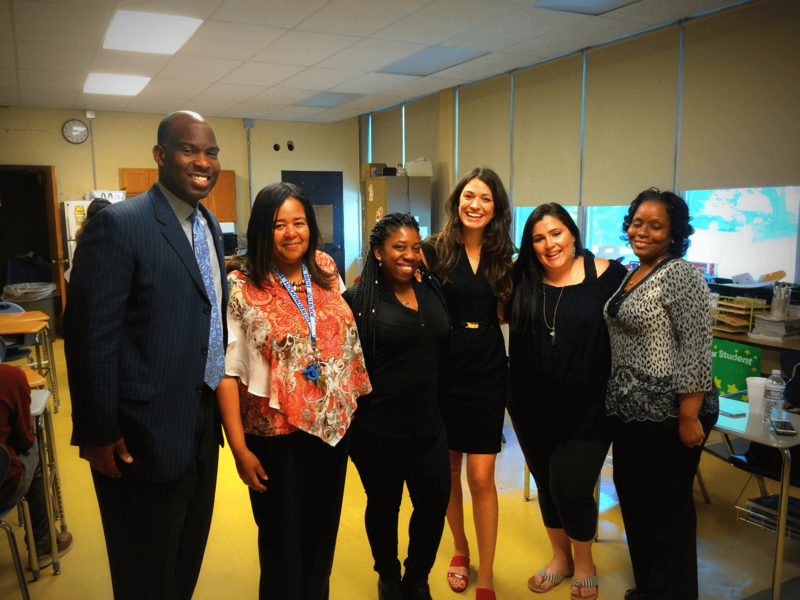 And last week Councilman Green joined educators from the School District of Philadelphia at Roxborough High School to meet parents and hear their story about how Digitability’s pre-employment transition program is positively impacting their children's future. At this event organized by the Digitability team, special education teachers from Roxborough High and their students who live with autism and other cognitive disabilities showcased how they are learning work-ready skills with Digitability. The event was also about taking action to create an ecosystem supported by the City and School District of Philadelphia and local Philly-based service providers like Digitability to become a model city, by breaking the trend of extreme jobless rates among people with a cognitive disability. An estimated 75% of people with cognitive disabilities age 18 to 64 are unemployed, according to Cornell University. For adults with autism only 14% hold a paying job in their community, according to the A.J. Drexel Autism Institute. 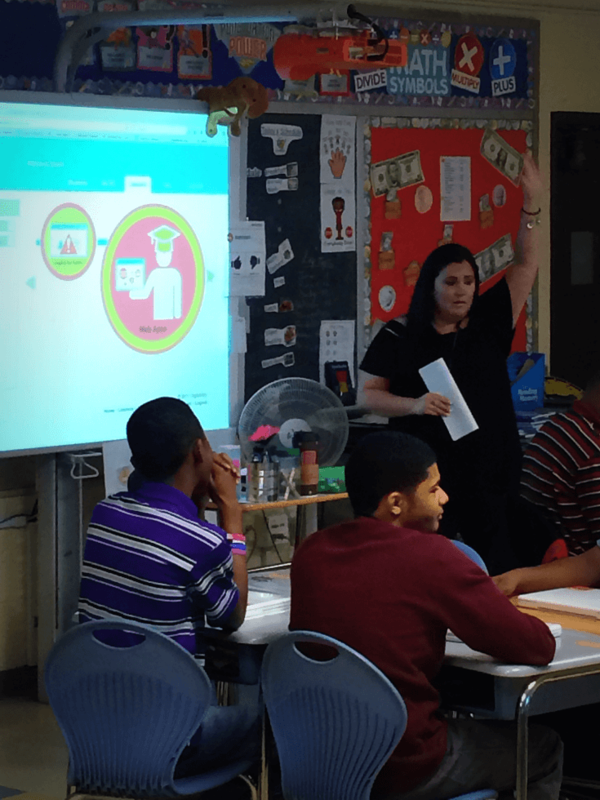 CNET recently covered Digitability's work to solve this unemployment crisis, so it is encouraging to get support leaders from the government and school district of Philadelphia. What Councilman Green and other attendees saw first was how Dawn Geiger, the high school autistic support classroom teacher, engaged her students using the Digitability Classroom Economy, which is designed for teachers to seamlessly and effortlessly use evidence-based practices to positively supporting behavior and develop social and emotional capacity. In addition, this model simultaneously teaches money management skills and healthy decision making. In addition, guests witnessed students developing and using technical vocabulary to describe how they use the internet. Students in the autistic support classroom described how they needed to type a ‘URL’ into the ‘browser's’ ‘address bar’ to visit the ‘website application’ of their choice. They also spent time distinguishing the difference between public and private information and gave examples of safety concepts they learned in class. For students who are limited in their verbal ability, they are able to use Digitability’s Image Exchange Cards or traceables. Using this foundation of vocabulary and conceptual knowledge, the classroom began their first project-based activity of planning a website together. The teacher used their community trips to the African American History Museum and other Philadelphia landmarks to plan a website that would highlight their experience and what they learned at each location. Students would apply for jobs based on their learning needs and current levels. What Councilman Green and the other attendees saw in action was a glimpse into the ultimate goal of the program, which is for every student using Digitability to build a portfolio of marketable skills and the social and emotional capacity to be successful in the workplace. 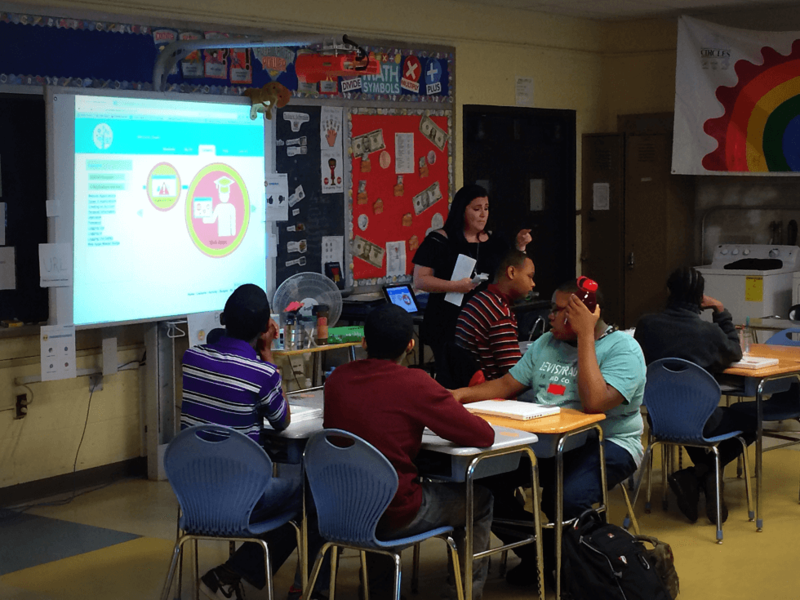 To help solve the crisis of students transitioning into a tech-driven workforce without the proper work-ready skills, teachers use strategies they learn from Digitability's professional development resources throughout the day, to transform their classroom into a work-simulated environment. The teacher is the CEO and the classroom assistants round out the executive team -- COO and CFO. Every adult supporting the classroom has a role to play. Jane Cordero has supported increasing transition outcomes for all students in many roles including her time as an Autistic Support Classroom Teacher, the former Autism Services Coordinator at the School District of Philadelphia’s Office of Specialized Services and in her current role as Transition Coordinator at Hill-Freedman World Academy. Parent advocates who attended, like Leslie Marant, saw how Digitability uniquely provides parents peace of mind knowing their school district is providing students with access to a successful pre-employment transition program like Digitability. Roxborough High School and the School District of Philadelphia were very kind to open their doors and classroom to host the event with Councilman Green, showcasing our amazing parents, teachers and students using the Digitability program. The team at Roxborough High School are terrific -- Principal Dana Jenkins, Assistant Principal Michele Dawson, Autistic Support Teacher Dawn Geiger and Special Education Classroom Assistant Angie Herndon. Assistant Principal, Michele Dawson said it best: "Thank you so much for visiting our school yesterday. I was really impressed with the Digitability program and I loved the way our students responded to the presentation of the content. 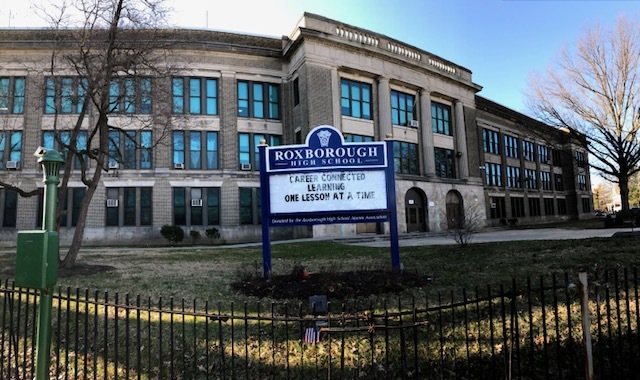 The Academies at Roxborough High is an ALL ACADEMY MODEL school with several CTE pathway offerings and your program supports the implementation of the model by creating more opportunities for our entire student body." We’re also grateful for Councilman Green’s support of the Digitability program and for taking time to understand how our technology is improving transition outcomes for people with autism. Our mission to improve the quality of life for people with autism means Digitability will continue finding innovative ways to work with leaders in governments, school districts, educators and especially parents. You can help support our mission to give students with autism their independence by sharing this story on your social media, and by taking this simple step to advocate for your child to bring Digitability to their school. This story was written by David Cohen, Digitability's Digital Marketing Director. David is an advocate for tearing down the walls and bureaucracies that prevent people with cognitive disabilities from gaining their independence in our tech-driven economy.